The lineup for this year’s Weyfest was recently announced, and I’m on the list! This will be my second festival appearance of 2018 (Shynefest being the first), and I’m really excited. I’ll be playing on Vic Cracknell’s Rustic stage on Saturday 18th August at 12:30pm – starting proceedings for an eclectic bunch of musicians and acts across the weekend. At this point it’s not certain how long my set will be, but I think it’ll be in the region of 30 minutes. I’ll be playing some old favourites, along with songs from my Life Line album, and featuring a couple of new songs from my upcoming ‘Found My Way’ album which is due out later this year. Weyfest is an annual event that is run at Tilford in Surrey (it’s near Farnham). You can find out more about Weyfest here – including how to get tickets, and how to get to the venue. 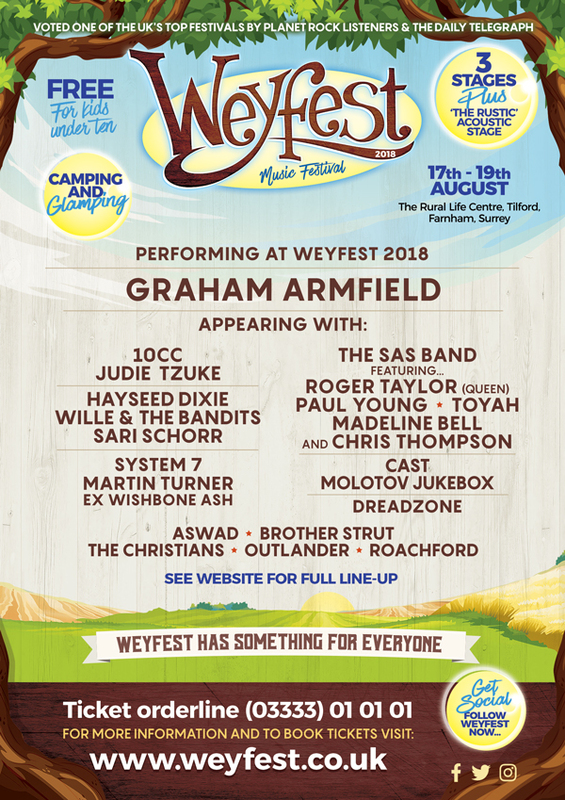 So if you’re going to Weyfest – hopefully I will see you there.